restaurants, bars, stores & boutiques are found. 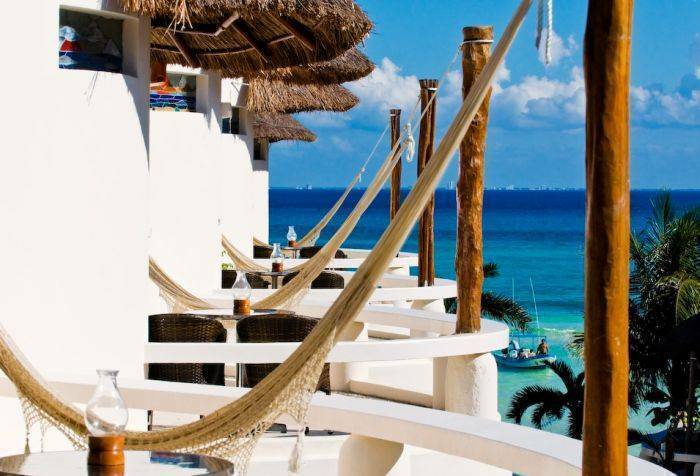 Caribbean Sea, a view which can be enjoyed from the hammock or the dining table & chairs. feature a hammock, chairs and dining table. Playa Palms Beach Hotel is a beach oasis designed to give the guests an out of the ordinary hotel experience in a timeless environment. 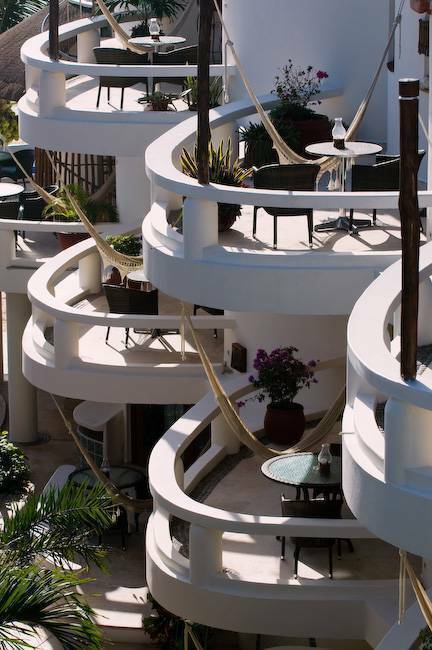 Some of its outstanding features are a wide beach area with exclusive lounge chairs, a pool with a private ocean view, a tropical garden, and 39 intimate and charming studios and suites decorated in a contemporary style that offer a high level of comfort in a lush, aesthetic surroundings. 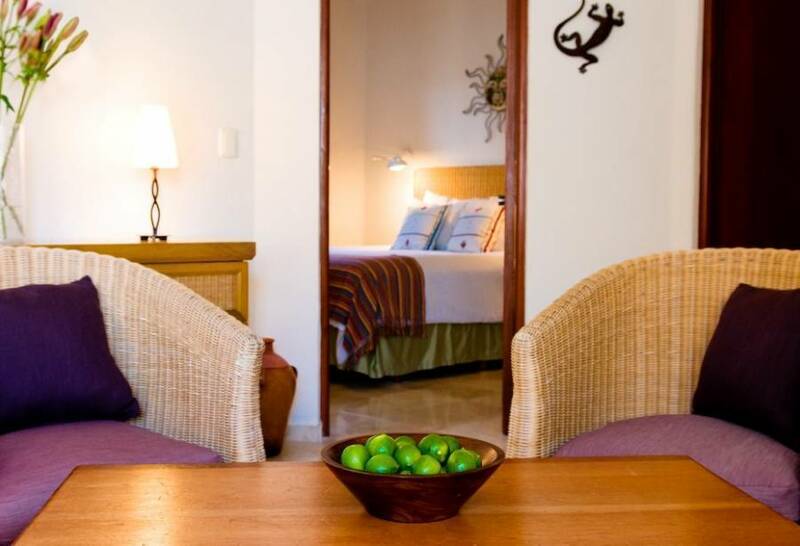 Ocean View One Bedroom Suite: Our 1BR Suites are spacious and artistically furnished. They feature one bedroom, a living room & dining area, and an ocean view terrace facing the magical turquoise Caribbean Sea, a view which can be enjoyed from the hammock or the dining table & chairs. Ocean View Studio: Our Studios are precious beach hideaways, stylishly furnished with personal details, with a captivating, relaxing ambience, and amazing ocean views from large terraces which feature a hammock, chairs and dining table. 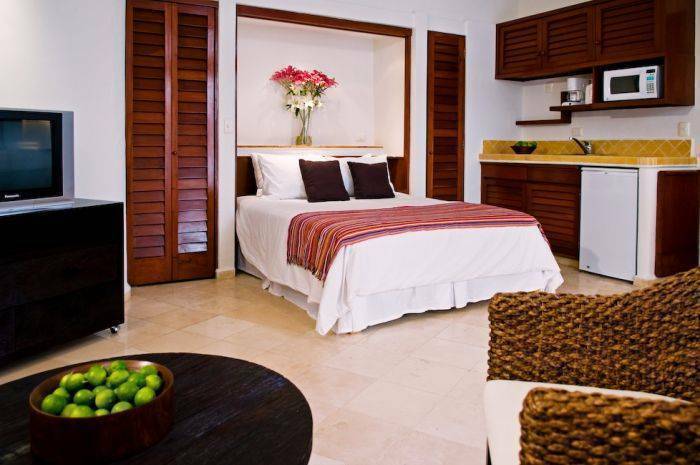 Ocean Front Studio: Our Premium Studios are located right in front of the ocean offering a magnificent undisturbed ocean front view from a large private terrace with a hammock, chairs and dining table. 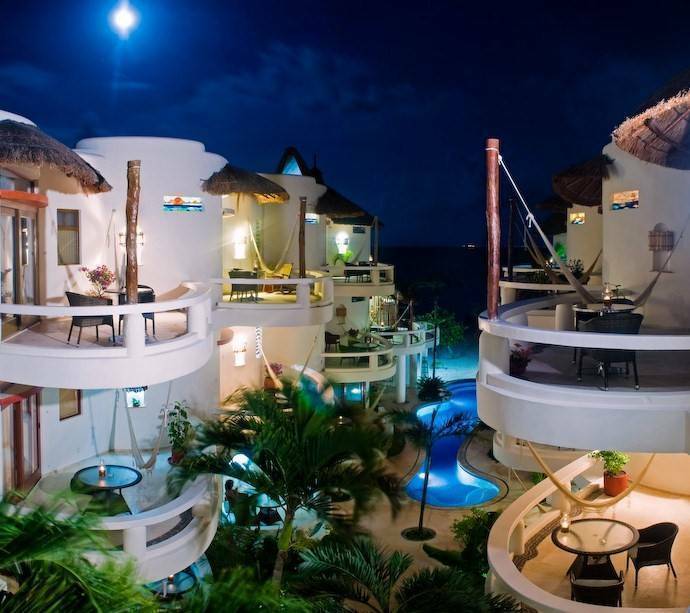 Best location in Playa del Carmen. Just by the beach and still close to the restaurants and shops along the Fifth ave.
Based on availability, the hotel will provide a confirmation number within 48 hours upon request has been acknowledged and payment has been processed. A 2night deposit will be charged to a credit card number submitted at the time of booking. All cancellations should be notified in writing. There is a $25 USD non refundable service fee. If cancellation is not received at least 14 days prior to the arrival date, the deposit is non refundable. Unused nights, early departures and no shows are non refundable. Special Policies apply on Holiday Season. From busstation: Walk north on 5fth Avenue. Turn right on calle 10. At the end of the street turn left. Playa Palms is on the right side. Nearest airport: Cancun, 35 km.